Over the last four months I’ve posted both optimistic words about Josh Smith’s shot selection and amazement of how bad it’s become. Hopefully this post is somewhere in the middle, both accepting of his jump shot and that I can’t…stop…writing about him. 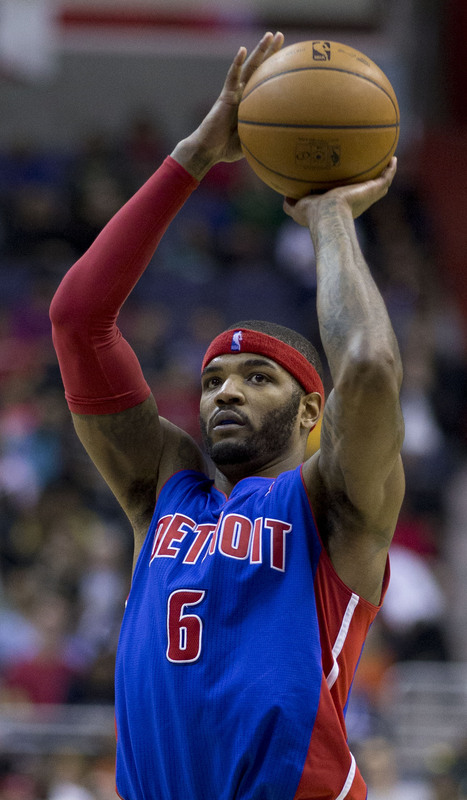 Josh Smith can do many good things on an NBA court. Catering his game to what math says about it, well, that’s not one of them (though that’s also on Joe Dumars). He’s taken nearly as many shots within five feet, where he averages 1.282 points per attempt, as he does from 20 feet and beyond where he averages .705 points per attempt. It also feels mandatory to mention that because Smith’s a 23.6 percent shooter from the arc that he’s five attempts away from becoming the worst in league history, minimum 200 shots. He’ll be the worst even if he makes every one of those five attempts. Fun times. 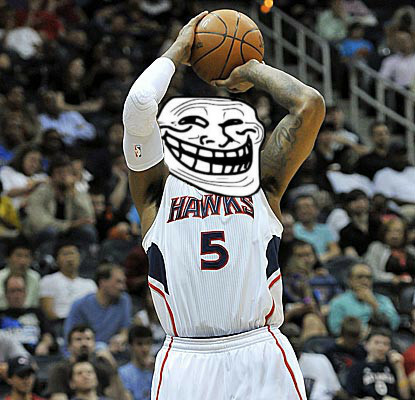 Making five threes in a row is possible, by the way. The current chance of Smith accomplishing that is 0.0011 percent or basically the chances of making a straight flush in poker, but the former event actually happened over two games in the 2012-2013 season against Memphis and Miami, when the likelihood of such an occurrence back then was slightly higher at .0053 percent. Smith’s a streaky three-point shooter, proven as recent as last night when he laughed in the face of math by making two threes in a row against the Spurs. He came into the game shooting 22.9 percent from three (again, on nearly 200 shots) which meant the chance of making his next two attempts was 5.2 percent. If we go by his accuracy since January 1, that percentage drops to 3.1. That’s exactly what happened, though. As his 3-point percentage might show, however, Smith will have cold spells where he misses, say, eight in a row. His longest drought this season is currently 11 threes from December 23 to January 7, according to Basketball-Reference, which is currently about as likely to happen again as making another pair of threes. The odds for each are 5.55 percent and 5.18, respectively. Brandon Jennings missing seven straight threes from above the break. Don’t count this out. Judging by the distance of a lot of his threes, this has happened multiple times this season. Chris Bosh missing five mid-range shots in a row. With the looks LeBron James and Dwyane Wade give him, that possibility seems, um, not possible. Carmelo Anthony missing five straight threes from above the break. More likely is Anthony making five straight threes and the Knicks still losing. Stephen Curry missing in general, which feels like never. And for the poker players, making two-pair is slightly less likely, calculating to 4.75 percent. Smith doesn’t care for math, though, as last night was far from the only time he’s made consecutive threes this season — he’s accomplished that eight other times. Smith’s made 46 threes at a 23.5 percent clip, which should mean on average he’d only make two threes in a row just twice and maybe three in a contract year. A similar thing happened in 2013 when Smith shot just 30.3 percent from the arc, making 61 of 201 attempts but he made consecutive threes at twice the average occurrence — 12 compared to 5.6. As usual, the downswings were rough as he once missed 15 straight threes. Earlier seasons show similar variance, though this might be common for several shooters. Smith’s been a downright streaky three-point shooter, for better or for worse with last night showing both sides. After making two consecutive threes early against San Antonio, Smith attempted another in the fourth quarter in which he proceeded to miss everything. Order was restored, but he’s going to keep hoisting threes whether his shooting hand is hot or so cold it confirms my suspicion he shoots with mittens. If my math is off, feel free to chime in.